IRA's are still a pretty good deal (see HERE if you need an explanation of what an IRA is). If you have not started one, do. Granted, they are not as good as many pensions or employer sponsored plans, but even if you have those, an IRA can be a great way to achieve tax savings or deferral. Remember, if you plan on making more later or think tax rates will go up, pick Roth. If you think you will make less or taxes will be less, go with traditional. Enough investing, lets talk about death. Often times the bulk of someone's estate can be in the form of an IRA, which they call, appropriately, and inherited IRA. Spouses have the flexibility to roll it over into their own plan. This is usually the way to go, unless you are a young widow(er): you get popped with penalties for early withdrawal if you need money before age 59.5, so its best to wait to make the rollover. Else, you can delay distributions until your spouse would have been 70.5. Remember, they general key with IRA's is delay as long as possible. If a non-spouse inherits an IRA, then all movement of money must be from one IRA custodian to another. Be sure to specify a "trustee-to-trustee" transfer if changing brokerage firms! You can get in trouble on this one if you screw it up. You must re-title the IRA, including the original owner's name and indicating it is inherited, e.g., "Sally Smith, deceased, inherited IRA for the benefit of Bob Brown, beneficiary." Just do it. Don't ask why. Must take distributions before Dec. 31 in year following death of decedent. The Required Minimum Distribution (RMD) is calculated differently than for your own IRA. You take the balance on Dec. 31 of the previous year and divide it by your life expectancy listed in the IRS' "single life expectancy" table, rather than the table used by IRA owners. The next year you use the same life expectancy, minus a year, and so on. Exception, "5 year rule" : If the original IRA owner died before reaching age 70½ (before required minimum distributions would be required) you also have the option to distribute your inherited IRA under the five-year rule. This allows you to take distributions however you like without penalty, as long as all assets are completely distributed from your inherited IRA by December 31 of the fifth year following the IRA owner's death: just remember these are taxed as ordinary income, so plan accordingly (however, if there was any estate tax pain, you might be able to take a deduction here, but I digress). If you inherit a Roth IRA and transfer the assets to an Inherited Roth IRA, unlike the original owner, you must take RMDs. As long as the assets have been in the Roth IRA for five or more years, these RMDs can be withdrawn federally tax-free. 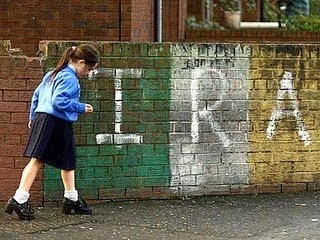 Ira's are good. If you don't have one, set one up. Make sure you name your beneficiaries, and name backups. There are harsh rules with it ends up in an "estate" and you will likely not have the flexible tax options. If you inherit one, ask for professional help. Play by the rules, transfer them correctly, and you can achieve maximum tax savings and deferral.